A set of three assorted hand-blown glasses made in delicate Bohemian glass. Dutch designer Maarten Baptist combines ancestral technique with radical boldness. One glass, three stems. What can be more stable than three stems? Maarten Baptist has rejected the bother of a single stem. The “tripod” collection of three-footed glasses in borosilicate is seditious. In the hand, they force the fingers to work. At rest they seem to dance. 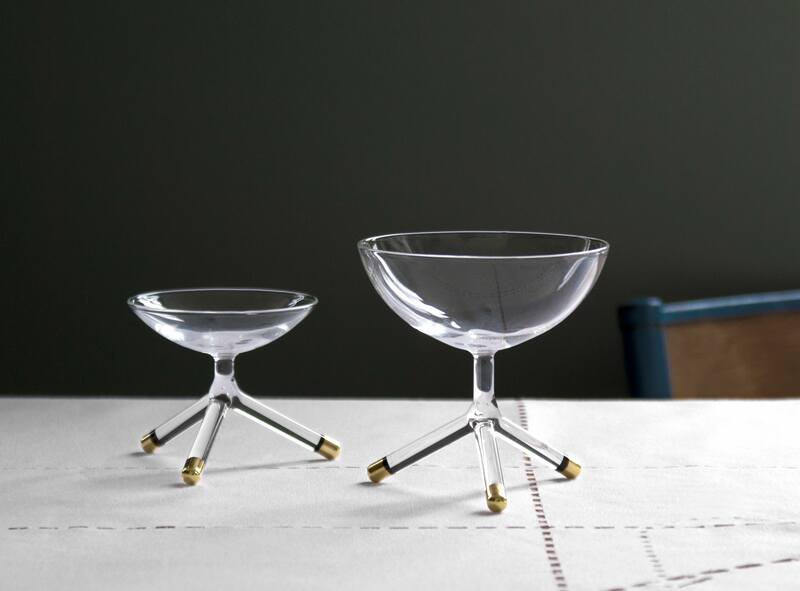 As troublemakers of the dinner table, tripod glasses play with the tradition of the placed goblet.